In issue two we covered the first step to removing stubborn odours - essentially ensuring the source of the odour was vanquished. In this article we turn to really advanced side and look at some of the products, equipment, and processes that both enthusiasts and professionals use. The article is premised on the primary source of the smell being removed already - the three month old takeaway hiding under a seat, the mildew steamed off the headlining, or the dead fury creature from the spare wheel well. In many circumstances, once the source is removed, the smell will slowly disappear. Alas, sometimes the bacteria and fungi that cause the smell are lodged deep within the fibres, and tobacco smoke smells can linger, seeming impossible to shift. Some casual online research suggests a litany of ever more interesting 'old wives' solutions. Some may well work to an extent - charcoal, baking soda, cat litter, coffee beans, and even sliced apples. However, there are plenty of alternatives that are both more effective, and don't require explaining awkwardly to passengers. One step up from the aforementioned witchcraft is a conventional air-freshener. These can take the form of a card cut-out to hang from a rear view mirror, a liquid to spray liberally around and usually give the vehicle a Parisian Boudoir feel, or gel packs to attached to air vents. In the short term these may feel effective, but they are simply masking the smell so need to refreshed regularly. However if the source of the smell is non-permanent - for example a dog or unwashed passenger - conventional air fresheners make sense. Some are quite fun too, like the selection Sean Beacham of F5 Detailing has above, though be careful vision isn't blocked. The liquid scent spray options are particularly difficult as they are very concentrated, so if reapplied once every three days the variation is dramatic. On day one you and the car smell strongly of apples or cherries or whatever the scent may claim to be. People will most likely avoid you and even walk home in the rain rather than endure a trip. On day two it may get down to tolerable levels, but day three it will have all but gone and be replaced by Essence of Marlboro or Eau de Labrador. This brings us to the next category - biocide and fungicide infused air-fresheners. These are usually spray on liquids, very similar to conventional air-fresheners, but claim to remove rather than mask the smell. Such products get marketing departments excited as there's only so much one can say about a conventional product, adding biocides give marketers more to talk about. The challenge such products face are numerous. Firstly, chemicals that kill bacteria don't smell very nice, yet the first thing a customer does with an air-freshener is take a good sniff. Anything would go straight back on the shelf if there wasn't more emphasis on perfume than fungicide - bleach for example, isn't kind on the nostrils. Secondly, from a health and safety point of view, you can't put anything too potent in something people are likely to breath in, repeat custom post mortem has always been a challenge. Finally, the way in which these are applied - a light to liberal misting - does not saturate the soft furnishings sufficiently to allow the low concentration biocides to interface with the bacteria they are claimed to annihilate. The third category of products can be used by the public, though more often is a quick fix for professionals. These are generically referred to as 'bombs' though technically 'grenades' would be more accurate. They are aerosols where you pull the pin, place in the car, and close all the doors and windows. You leave the car running with the ventilation on full recirculation and remove all living creatures. The Dakota Odor Bomb, a trade favourite, is being put to good effect by Dave Guy of Perfectly Polished. Note how there is a large paper towel underneath the aerosol in order to catch the worst of the moisture as it descends, in contrast, seats need more protection with fogger machines as they get hot. These are well proven in the valeting trade, and as long as the source of the pong has been removed, they normally do the trick. They are relatively cost effective, and while their main advantage is speed - compared to setting up fogging machines, waiting for them to work, then cleaning up any residue afterwards. They can also be used as a super-strong conventional air-freshener with a couple squirts. There are various products on the market, but it pays to spend a little more and go for a recognised brand. All the products mentioned thus far are generally speaking 'maskers' - some do, or at least may claim, to rid the smell at source, but the following alternatives are much more effective at killing the bacteria and fungi that cause all the trouble. At this point you really need to consider health and safety - the Safety Data Sheets of the previously mentioned products reveal that there isn't anything particularly nasty in them, however some of the following products use compounds like Chlorine Dioxide which need to be used with care. Below Ben Hulett of Pro Reflect shows the warning signs that come with the one such product. First on the list is a valeters favourite - the Odor Rescue kit from CL02 Systems in the USA - essentially a sachet to which you add water, then leave in a vehicle for a couple of hours.Chlorine dioxide is generated, and this actively kills bacteria, leaving a fairly neutral smell. A new product has recently been released AB Scientific in the UK called the Clobberizer (below). The principle is the same but it produces purer chlorine dioxide in higher concentrations without any chlorite and chlorate by-products, which are less desirable. Daryl Herod of D4 Detail has used it when he ran out of his Odor Rescue stock - since then he's been converted. With both products, once the reaction has completed, the residue is fairly inert but it is still worth disposing of sensibly, if only to avoid the swimming pool smell. Now we get into the hardware side - with various different machines all trying to achieve the same thing in subtly different ways. First up are fogging machines, which fill a car interior with dry vapour and operate in a fairly similar way to odor bombs. As the 'fog' is thicker it's a heavier duty approach giving greater interface between the product and the bacteria. There are various options on the market, but the Fog-it V7 for example lists dozens of bacteria, viruses, and fungal spores that it claims to obliterate. Its a popular piece of kit with the members, the image below is the V4 unit being used by Peter Davies of Design By Detail. Just as with the Odor Rescue product, there's a German company called Airtune that has decided to try and improve on the American alternative. They have worked with the University of Mannheim and focused on shrinking the droplets themselves in order to produce a system that has been tested against alternatives and given the thumbs up. Being German of course the scientific report didn't give a 'thumbs up' as such, it concluded that 'reproduction of microorganisms... can be reduced up to 99.994%' - that extra four-thousandths of a percent are obviously very important. Compared to a traditional fogger it produces a thinner cloud (see top right) and as a consequence it neutralises bad odours without leaving the residues of alternative solutions. A key point with all of these machines is that the car ventilation system should be set to recirculation. There are two reasons for this - firstly if they were set on full without recirculation they would dilute the concentration of 'fog'. Secondly, the pipes and ducts of a ventilation system can often hide unpleasant things - particularly with air conditioning systems where Legionnaires disease can fester. They can equally be the source of some of the bad smells in a car. Filters are particular hotspots and sometimes it is better to replace them entirely. There are two further machines that are available which take different approaches to solve the same problem. The AutoSmart Aromatek looks like any other fogger, but it uses thirty-two different natural oils that are turned into an invisible dry vapour. A lot of PVD members, like Martin Copp of Revide My Ride (below), use the system in combination with the AutoSmart Bio Brisk product, which is a powerful cleaning solution. Being a dry vapour it doesn't pose any saturation risk to fabrics or cause condensation. The natural oils leave a nice fragrance and there is nothing remotely toxic left behind. Without the Bio Brisk it would technically be a 'masker' rather than a true neutraliser, but as a package the solution works very well, though the cartridges can be quite expensive. The final system uses Ozone or O3 to kill off biological baddies and freshen up interiors. This is different from deionizers - though both more effective and more dangerous. As a gas, Ozone essentially has a free oxygen molecule which bonds easily with other molecules, thus changing their chemical structure. This change in chemical structure fundamentally alters the molecule - usually rendering it inert. Thus the smell is neutralised - at least that's the idea. As with many product genres touched on here, one has to try to see through the marketing - for example the Ozone machine Anthony Thomson of Attention 2 Detail uses (below) is labelled 'fresh air' - but Ozone isn't really the sort of 'fresh air' you want to be breathing in if you value your cardiovascular system. Now we have just about covered every odour removal system available to the car care enthusiast - from the 50p card air-freshener to machines costing over £100. Some of the options are no more dangerous than using a deodorant body spray, others need to be handled with considerable care. For a professional car valeter, the hardware solutions can make a lot of sense - some Aromatek machines are in almost daily use - whereas for the home enthusiast, things like the Clobberizer might be more appropriate. Ultimately the Ozone and Airtune solutions are the most effective when used in isolation, as the smaller particles and droplets allow greater penetration into the soft furnishings. However, no solution is always 100% effective - a car with deep-pile furnishings that have endured years of cigar smoke are always going to be a challenge. When we get asked by enthusiasts how they should remove a smell, we usually recommend a really deep clean. A steam machine can be very effective at cleaning out soft surfaces, while sometimes going to the lengths of stripping dashboards and door-cards off to access hidden areas is effective. 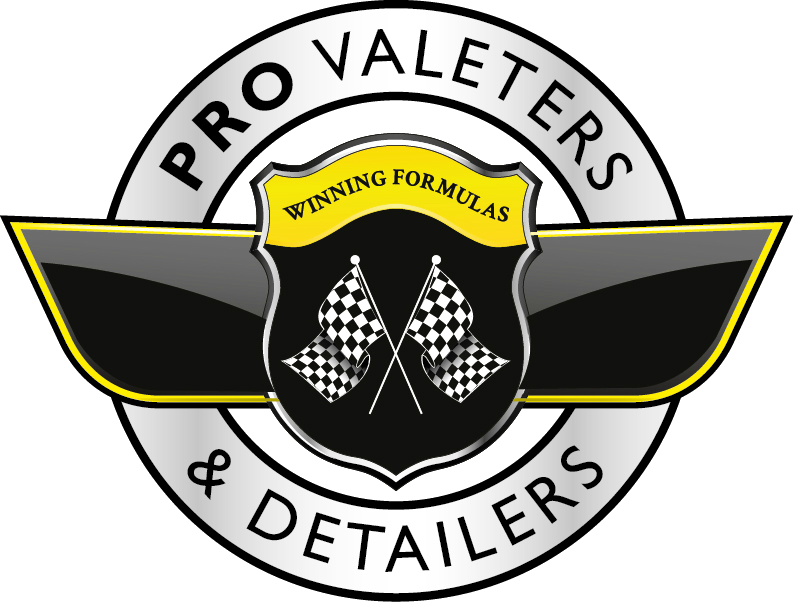 There are a number of interior cleaners available that focus on removing the source of odours - the Enzyme Odour Eater product by Valet Pro is popular, as is the Odour Eliminator from Auto Glym. The former is particularly effective for those with allergies, as it destroys the urine, saliva, and dander on pet-hair. When we get asked by our members, who have greater time constraints but larger budgets, we recommend something like the Airtune or Ozone system. They also have access to things like the Autosmart Vortex II, which uses compressed air and various chemical options to really deep clean the car interior. They work best when combined with wet extraction using an appropriate vacuum machine. However, usually only professionals can justify having all the equipment needed, like Andy Cynberg of Sir Shine Alot, who uses his Tornador, the predecessor to the Vortex II, on an almost daily basis (above).